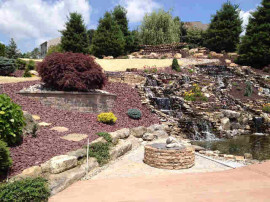 At Sunnieside Landscaping Inc., you will receive professional support for all phases of your project. From consultation, Landscape Services, to maintenance, we will gladly take care of all of your outdoor concerns. Is your yard in need of a full renovation or a simple spruce up? You can choose between a full planning or an individual consultation, between the sensible integration of existing landscape and hardscape elements of your current outdoor living space or a completely new landscape design. Our residential landscaping services always meet the highest quality requirements, and also includes fresh ideas for your home and garden. 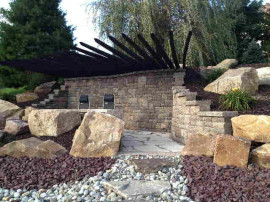 Licensed landscaping contractors providing home improvement and designing backyard living spaces for 35+ years in eastern Pennsylvania including: Bath, Nazareth, Easton, Bethlehem, Hellertown, Macungie, Saucon Valley, Allentown and all surrounding areas. 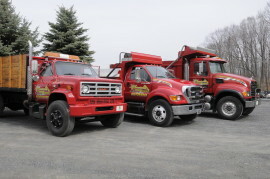 Proudly serving the entire Lehigh Valley including Bath, Nazareth, Easton, Macungie, Allentown and Bethlehem, PA.